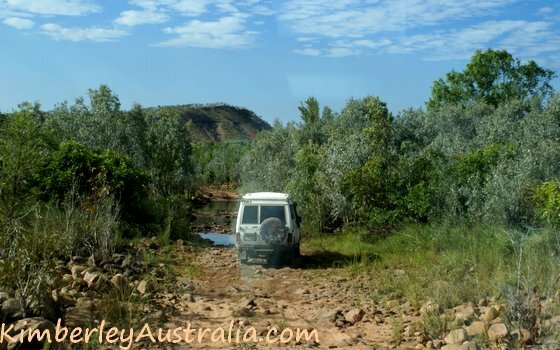 The Mitchell Falls are the hardest to reach attraction in the Kimberley, at least among the big and well known attractions. 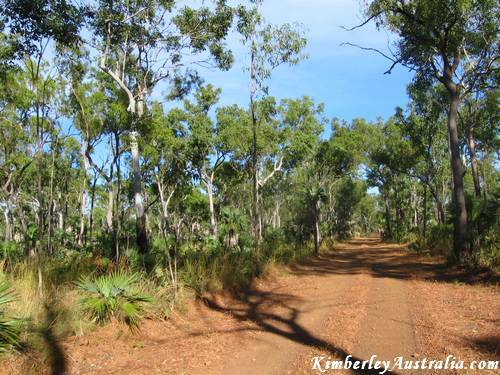 The Mitchell Plateau Track, officially called Port Warrender Road, is not a gazetted road. 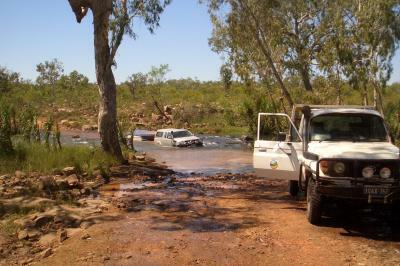 Which means it's hard to get insurance for hired cars for the drive to the Mitchell Falls. Here are some images of that track to show you what to expect. The track gets graded one to three times a year and most of the drive is not all that bad. That are very typical pictures of that track. The images don't show how rough and uneven it is. Often you can't drive fast at all. The 85 km drive typically takes 2 - 3 hours, but it is just slow, not difficult. 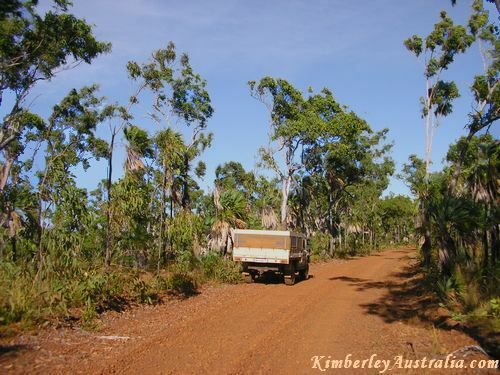 The drive often brings you close to the edge of the plateau and the views are great. But the track also does a lot of climbing up and down. This part of the road is good, and I'm kicking myself now for not taking photos of the holes and wash outs of other sections. Whenever you come across a steeper section of the track take extra care. 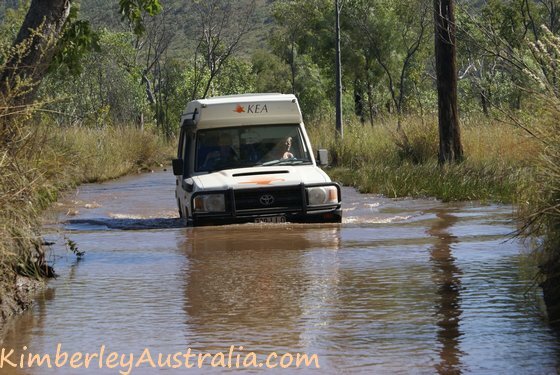 Especially earlier in the year and if it's been a big wet season. You only see holes or washouts at the very last moment, as you come over the top of a crest. If you are ready for that you should be fine. There is always enough room to drive around those holes. 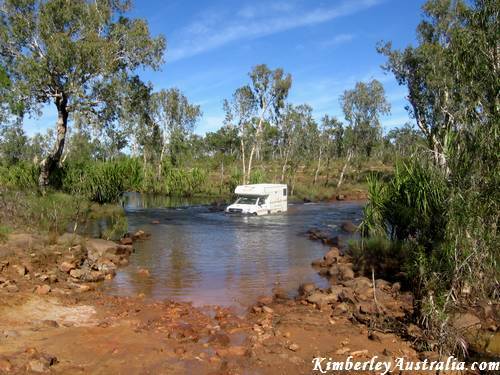 The only other obstacle on that track is the infamous King Edward River crossing. 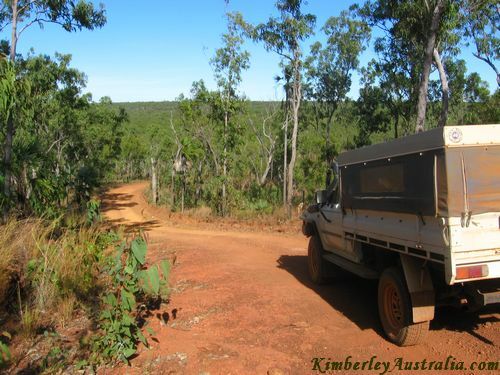 That, by the way, is the same vehicle that is also on the cover of the Destination Kimberley book. All the photos above and the others below were taken very early in the season, within two weeks of the track being opened. 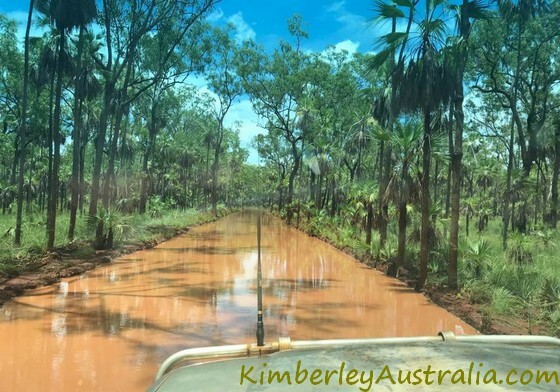 The Mitchell Plateau drains very slowly and this track is usually the last one in the Kimberley to open, long after the Gibb River Road opens. And after a big wet season that may be as late as June! Sorry about the image quality. 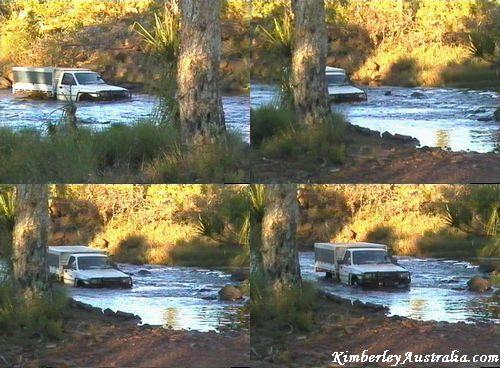 The pictures are stills of a video someone took of me in the old ute going across. And this picture was taken by reader Tina from Germany. 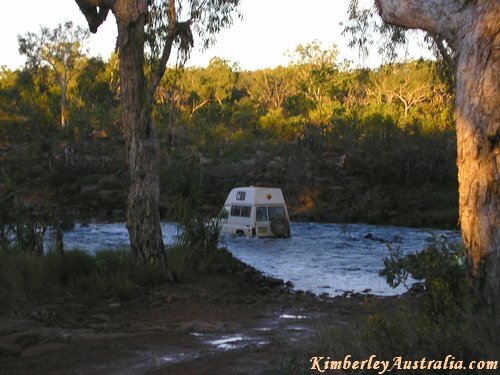 Her account of her King Edward River crossing is here. Below are two more reader photos, showing the track at its worst, after unseasonal rain. The readers from the Netherlands share their experience here. 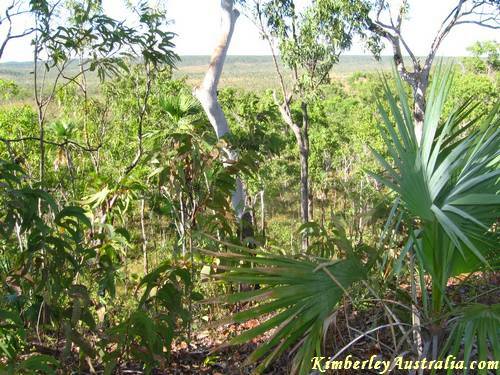 And last but not least I want to show you what it looks like up there during the wet season. 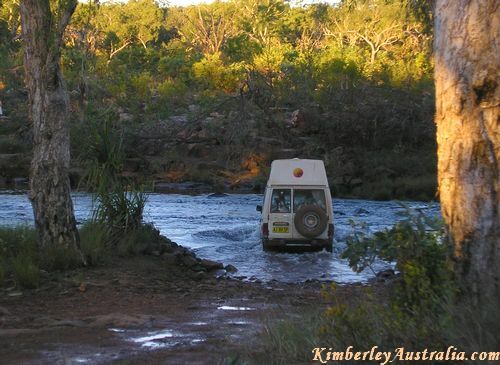 This last photo was taken by my friends Leonie and Neville from Over the Range Tyre & Mechanical Repairs.